This month we interviewed Sam Gaspardo, who is part of our Mental Health Ambassador Network. Sam discusses how an abusive relationship spiraled her depression and anxiety out of control. Ultimately, packing everything she owned in her car and walking away from her life as she knew it at the time, finally set her on the right path toward recovery. It was on this journey that she found Mental Health Minnesota and she now helps others realize that recovery is possible. Can you tell us about yourself, and why you decided to join Mental Health Minnesota’s Ambassador Network? I am 25 years old and have dealt with anxiety and depression most of my life. During my senior year of high school, I was in an emotionally abusive relationship in which I was also sexually assaulted. This led to a downward spiral that ended in a suicide attempt on New Year’s Eve. I spent the remainder of my senior year recovering, attending group and individual therapy, getting myself to a place where I was able to graduate, and preparing for college. However, I had also blocked out the assault. I spent most of my college years drinking, abusing my medications, struggling with my anxiety and depression and slowly regaining my memory of my assault. 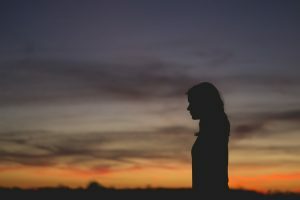 While I did go to therapy, as well as a few outpatient programs, I was still extremely vulnerable and confused by everything I was beginning to remember. Finally, my senior year of college I hit rock bottom and decided it was time to get help. I left fall semester early and attended an intensive outpatient program at Region’s Hospital where I was diagnosed with Post Traumatic Stress Disorder. I left for spring semester feeling revitalized, hoping to finally understand and get help for what I was going through. However, a month into school I hit a major setback and ended up attempting suicide once again. After leaving the hospital, I packed up all 4 years of my life into my car and moved back home for good. It was then that I finally began to get the help I needed for my PTSD. It was a rough year of therapy, EMDR, battling a drinking problem, self-harm, health issues and coming to terms with everything I had been through. Reliving the worst days of my life however, brought me to understand what I went through was not my fault. It was on this journey that I found Mental Health Minnesota. I had done some public speaking in college about mental health awareness and was looking for somewhere local to volunteer and do something similar. A Google search brought me to their website where I saw you could submit your recovery story. On a whim I decided to send mine in. A few days later, I received a phone call and not only did Mental Health Minnesota want to publish my story, they wanted to feature it on their website and asked me to be an ambassador. I don’t even think I let them finish explaining what an ambassador was before I said yes! Being a part of the Mental Health Minnesota Ambassador program has been amazing. I love being able to let other people know recovery is possible and meeting other people who are mental health advocates. Do you have a crisis plan or a self-care plan in place? If so, could you share a little bit about how you came up with your plan? I do have a self-care plan in place. It is a combination of coping mechanisms I learned in therapy, ideas I’ve gotten from others and things that have always comforted me. I have things I do specifically for my anxiety and when I am having panic attacks, things I do when my depression is bad, and things I do when my PTSD is triggered. Each of my mental illnesses goes hand-in-hand with the other, so a lot of my coping mechanisms work for multiple situations. I have learned that instead of trying to turn off my feelings, if I let myself feel them completely, I am able to work through them and come up with ways to help myself the next time I am feeling that way. The biggest thing that helped me with coming up with my self-care plan was accepting that it is ok to not be ok all the time. It is ok to be sad, anxious, triggered, etc. It is all a part of having a mental illness, and like any other illness you need to take care of yourself. What things would you suggest someone think about when they are creating their own crisis plan or self-care plan? I would recommend having a variety of plans, especially if you have more than one mental illness. Also, having a self-care plan for different stages of when you are struggling can be helpful. For example, I have things I do when I know my symptoms are mild versus things I do when I know my symptoms are more severe. Sometimes looking on websites such as Pinterest or mental health blogs can give you good ideas for self-care or crisis plans. If you are seeing a therapist, they are also a good resource for discussing coping mechanisms and how to create a self-care plan. What is your advice for friends and family members who want to support a loved one who is experiencing a crisis, or starting to experience signs of a crisis? The most important thing you can do is let them know that you are there for them and that what they are experiencing is valid. Since there is still a strong stigma around mental illness, letting someone who is experiencing or beginning to experience a crisis know that their feelings are valid is very important. Also, ask them what you can do for them – whether it be just listening while the person vents or helping them find resources to get help. There are a lot of resources online as well for family/friends. I will never forget when I was first diagnosed with PTSD, I came home one evening and my dad was reading on his iPad. I walked past him, thinking nothing of it, when he stopped me and asked me about some ideas he had read about online to help with my PTSD. Little things like that mean a lot as well. This entry was posted on September 26, 2018 by Erin Erickson.